When implantable cardioverter defibrillators (ICDs) were first approved by the FDA in 1985, the recipient needed to have survived not one, but two cardiac arrests. The initial population receiving ICDs was obviously very small. Although the chances of surviving cardiac arrests has greatly increased over the last few decades, thanks to greater public training in CPR and access to automated external defibrillators (AEDs), the chance of meaningful survival after sustaining a cardiac arrest still remains dismally low. 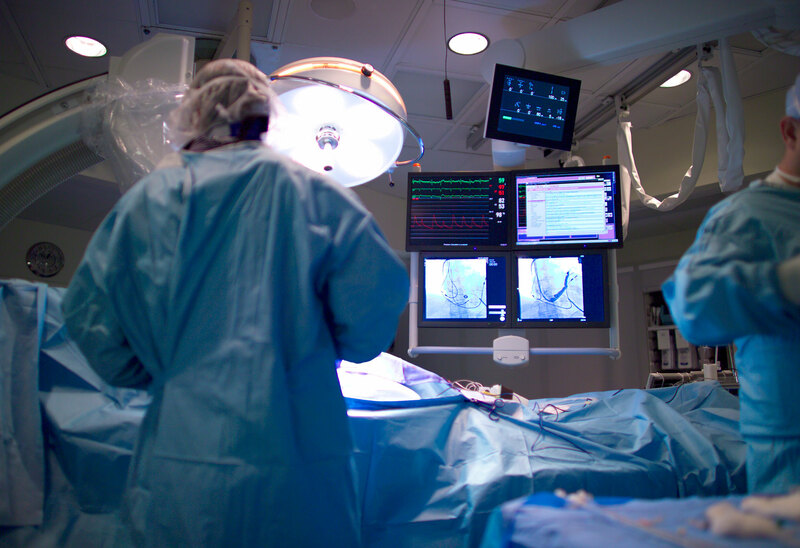 It has been realized that one way of improving survival from cardiac arrest is to implant an ICD in patients deemed to be at high risk for this event. Depressed left ventricular ejection fraction was recognized to be a powerful risk factor for cardiac arrest in patients who have sustained a myocardial infarction and those patients with nonischemic etiologies of their depressed cardiac function. The ICD was approved for prophylactic implantation within days of the premature termination of the MADIT trial in 1996. 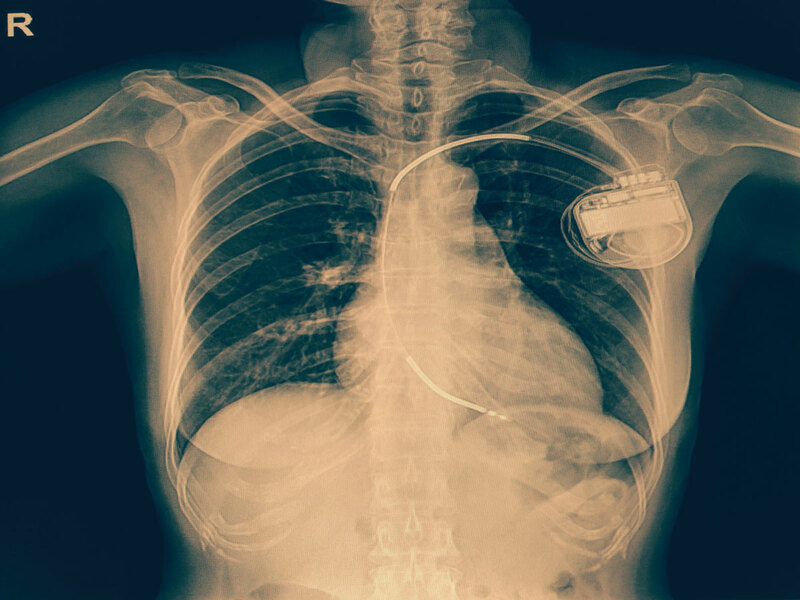 Since that time ICD implantation rates have greatly increased, and now the vast majority of ICD implants are performed on patients who never had a cardiac arrest, and quite honestly, will never have one. Of course, we want to protect patients from sudden death by implanting ICDs prior to these events, but we are still not great in choosing who will have an arrest and who will not. Certainly, having a depressed left ventricular ejection fraction after a myocardial infarction puts patients at great risk of having a cardiac arrest. Several studies, including those by the MADIT and SCD-HeFT investigators, have shown this quite convincingly, yet the data for patients with nonischemic cardiomyopathy were never that convincing to me. The DEFINITE trial, a primary prevention study in patients with nonischemic cardiomyopathy, a left ventricular ejection fraction less than 36, and ventricular ectopy, enrolled 458 patients. Subjects were followed for a mean of 29 months with 28 deaths in the ICD arm and 40 in the group not receiving ICDs. This result did not, however, reach statistical significance with a p value of 0.08. The SCD-HeFT trial was a much larger trial of over 2500 subjects with an ejection fraction less than 35%, with almost half having nonischemic etiology to their Class II or III heart failure. Subjects enrolled in this trial could have received an ICD, amiodarone, or a placebo in addition to guideline-directed medical therapy. The overall trial showed a benefit of ICDs when compared to placebo with a hazard ratio of 0.77 (0.62-0.96) and a p value of 0.007. However, when the pre-specified subgroup analysis was performed on the nonischemic cardiomyopathy cohort (which was randomized separately from the ischemic group), the results were not as impressive. When compared to placebo, those given an ICD had a lower 5-year mortality rate (21.4% versus 27.9%) but the hazard ratio crossed the line of identity and the p value was 0.06. A more recent study, the DANISH Trial, enrolled over 1100 patients with nonischemic cardiomyopathy and LV ejection fraction of ≤35% and randomized them to prophylactic ICD or no ICD. All patients received guideline-directed medical therapy, and it should be noted that in both groups 58% of the patients received cardiac resynchronization therapy (obviously a CRT pacemaker in the control group). The median follow-up was greater than 5.5 years in this study, and no benefit in cardiovascular or total mortality was found in patients randomized to receive an ICD. ICD patients did have a lower rate of sudden death, but this did not translate to an overall survival benefit. I believe this study calls into question the 2012 Class I ACC/AHA/HRS recommendation for primary prevention ICD implantation therapy in patients with nonischemic dilated cardiomyopathy (DCM) who have an LVEF ≤35% and who are in NYHA functional Class II or III. As I look back on all the DCM patients with primary prevention ICDs I followed over 2 decades of clinical practice, I can hardly recall more than a couple of patients who received an appropriate ICD shock, and if they did, it was often a hallmark of a significant worsening of clinical status, usually followed by death not more than a few months later from pump failure. Thanks to advances in pharmacotherapy for heart failure and the widespread use of cardiac resynchronization in appropriate patients, patients with DCM are living longer and, I believe, are less apt to sustain a cardiac arrest more so than when DEFINITE and SCD-HeFT trials began enrolling patients more than 2 decades ago. I think the publication of DANISH in 2016 raises a lot of issues such as the applicability of guidelines that are based on studies conceived more than 20 years ago, especially when the treatment of the underlying disease has changed so significantly. How often do guidelines need to be updated, and how easy is it to change practice for an intervention that has become standard of care, not to mention with significant financial incentives for many implanting physicians and the device industry? I think it is reasonable to continue to discuss prophylactic ICD implantation with patients with DCM and an ejection fraction ≤35%. Patients should know ICD implantation is recommended by the current guidelines, but that newer studies have put these recommendations into question, and that they certainly may not get benefit from the device. Medicine is such an exciting field as it is ever-changing, and physicians need to stay informed in order to provide the best and current care for their patients. You can learn more about this topic in Dr. Verdino’s module in CurrentMD: “Update on Primary Prevention ICDs in Patients with Nonischemic Cardiomyopathy”. CurrentMD helps you stay current with the latest in emerging cardiovascular medicine from top, unbiased experts. Keep up with all the latest literature distilled by top cardiology faculty from across the country and earn AMA PRA Category 1 Credit ™ and ABIM MOC points for each activity completed.